This swing mount assembly will fit most vehicles with a 1" live axle. 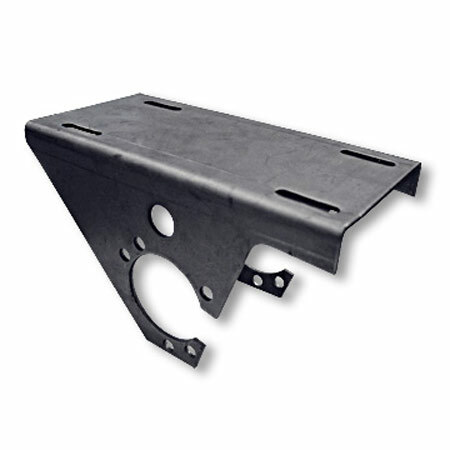 The engine mounting plate allows you a variable angle. Can be used with two or three hole flangettes. Made with 1/8" thick steel. Q: Can this be used on 1-1/4" live axle? Are these any good or is there too much flex?